My youngest daughter is obsessed with horses. This may or may not be my fault. For the record, I have been afraid of horses since one bit me at Girl Scout camp in the sixth grade. However, I was determined never to transfer my fears to my children, so I signed them up for horseback riding lessons when they were little. The older one moved on to dance, musical theater, student council, and boys. The younger one still thinks of nothing but horses. So I hang out at smelly barns, reading my books and shooing flies away. In St. Louis we drove out into the country where she leased a sweet horse named Dimples. She’d trudge into hip high grass to fetch the horse, pick her muddy hooves out with a scary looking thing, spray her with fly spray, saddle up, and ride off into the distance, grinning with joy. Easy peasy. Big tears when we moved to Arkansas last year, but I told her that there were bound to be lots of horses just like Dimples. Hmmm. . .nope. 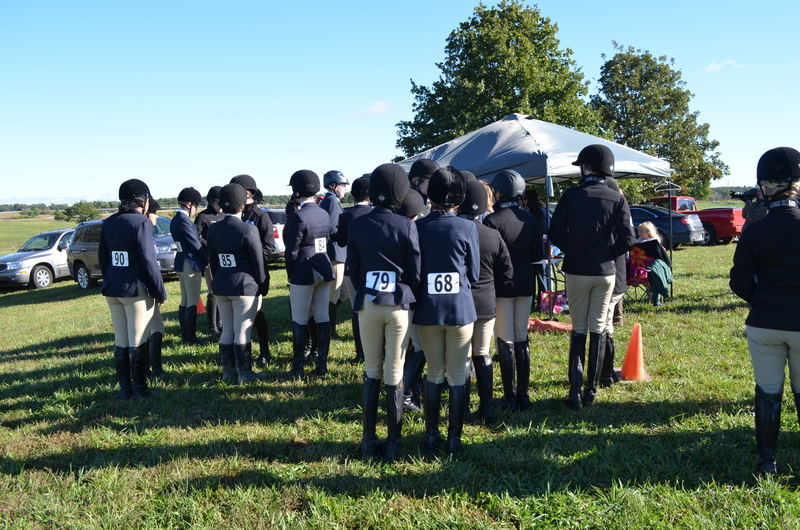 The girls here ride English, which means that they sport $300 helmets on their heads, $300 boots on their feet, and fancy threads in between. They still pick the hooves clean, but then they trot those ponies around a ring, leaping over fences with posture I can only dream of. It would be kind of cute if I weren’t writing the checks and biting my nails in the grandstand. 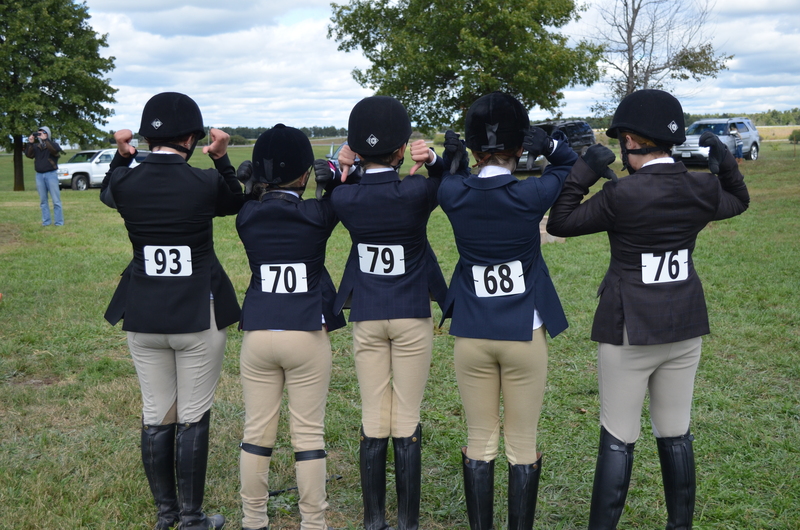 Fast forward a year, and C has joined an Interscholastic Equestrian Association riding team made up of middle and high school girls who practice together and then go to shows to challenge themselves to ride horses other than their own, using tack other than their own. That might not sound like a big deal, but in the usual shows they ride horses they know and are basically showing what the horse can do. In these team shows, they show what they can do as riders in completely unfamiliar circumstances. Not only do they draw horses from a hat, their coach has to choose which of them will place before the show, and they only earn points for the ones that she chooses correctly! It’s crazy challenging! But, it turns out, super fun, too. 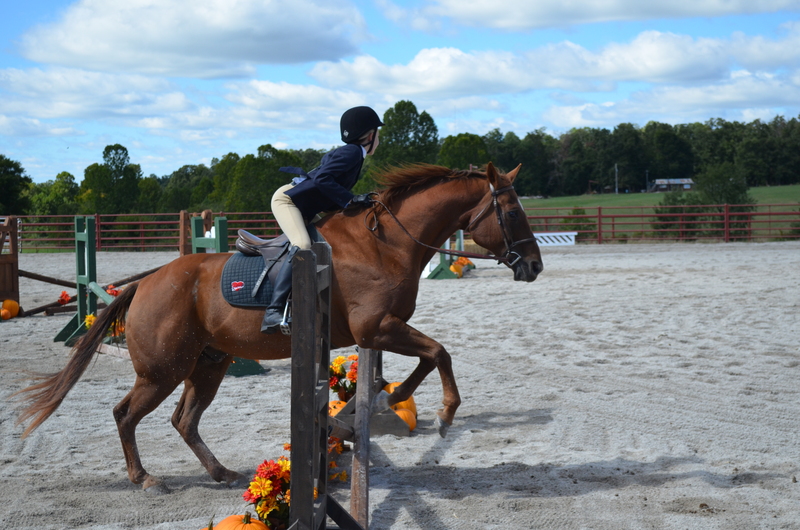 Despite the cold, windy day, I enjoyed seeing these athletes and horses work together. And the comaraderie! 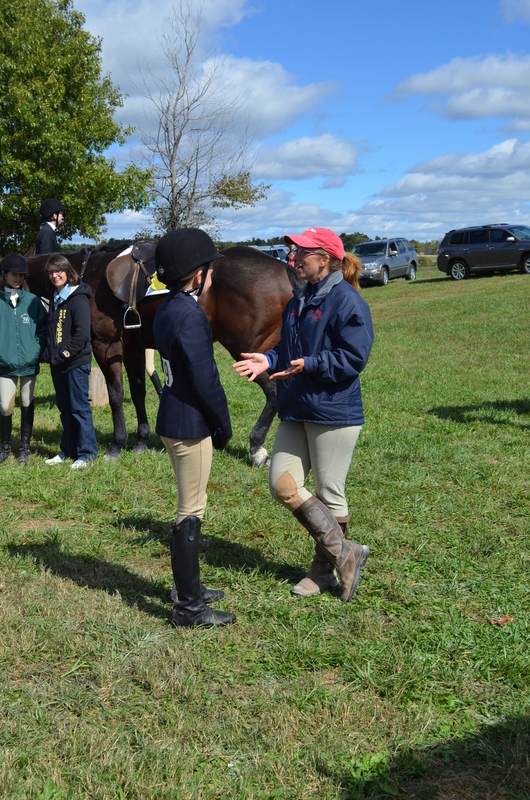 The girls helped each other get up to speed on which horse tends to (oh, how would I know?) act which way, and they acted as grooms for each other, and just generally supported one another in ways you wouldn’t see at a show where they are competitors. 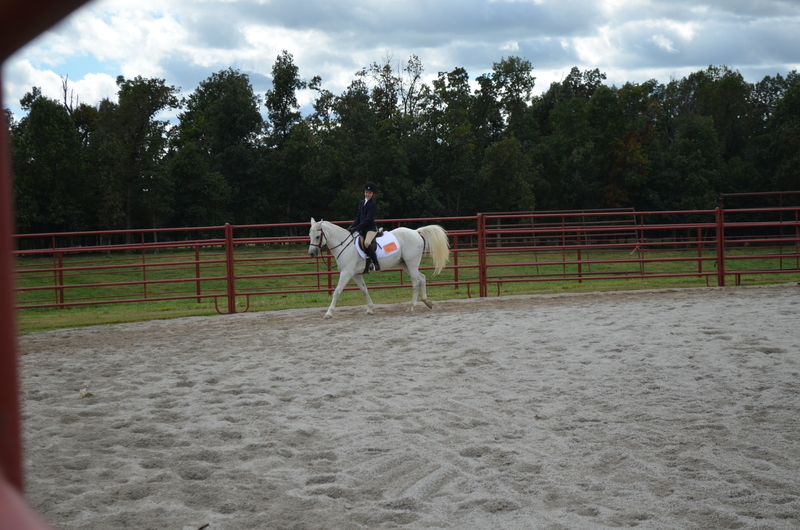 It was really neat to see horseback riding as a team sport. When I was in high school, we were trying to convince the Powers That Be that cheerleading and dance team deserved to earn varsity letters. 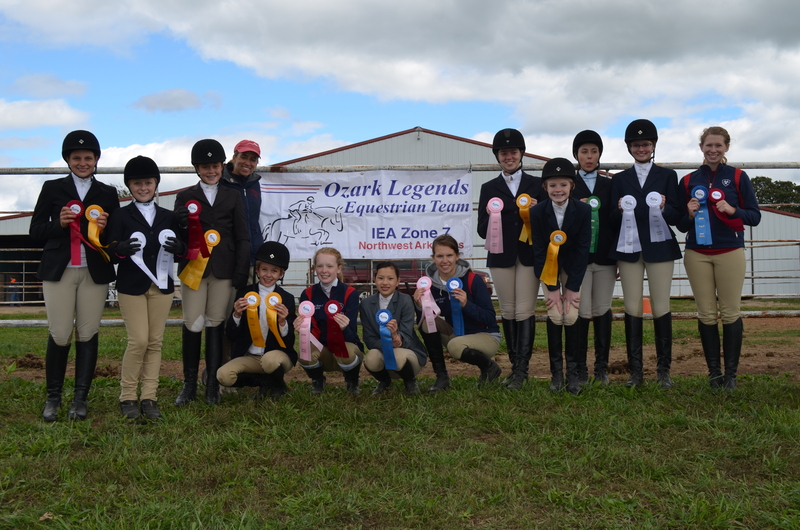 Now I’d like to see my daughter earn one in the IEA! Go Team!